Dorothy W. Valeski, 92, of Legion Road, Bloomsburg passed away on Thursday morning, March, 21 at Bloomsburg Care and Rehabilitation Center, where she had been a patient for a short period of time. Dorothy was born on May 23, 1926 in Bloomsburg. She was the eighth of nine children of Stanley and Catherine (Juskowiak) Wawroski and was the last surviving sibling. 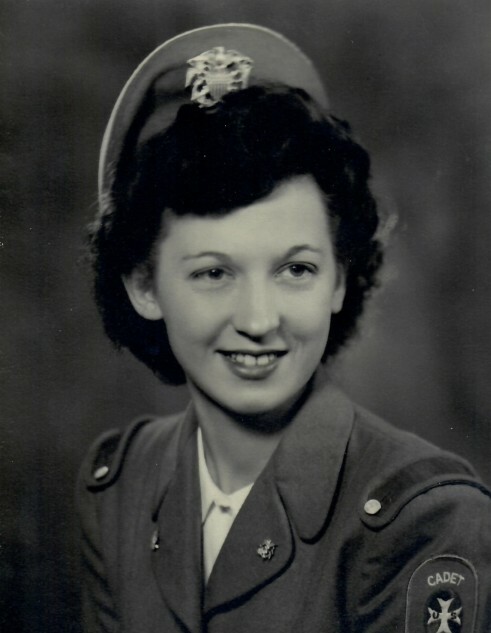 She graduated from Catawissa High School in 1944 and entered into the WWII Cadet Nursing program at The Episcopal Hospital in Philadelphia where she graduated as a Registered Nurse in 1948. She worked all areas of the Bloomsburg Hospital as an RN from 1948-1959. After taking a break to raise her family of three children, Dorothy resumed work as a RN at The Bloomsburg Health Care Center as a Nursing Supervisor from 1984-1990. She spent her entire life in the Catawissa-Bloomsburg area and remarked at how many of us take the beauty of our area for granted. She was preceded in death by her husband, Frank M. Valeski, Jr. in 2004. She is survived by her three sons: Michael Valeski, David Valeski, and Jared (Lisa) Valeski; two grandchildren: Calvin Valeski and Gabrielle (David) Jeremiah; and one great grandchild, Griffith Jeremiah. Dorothy spent a lifetime helping others and truly enjoyed every aspect of nursing and care giving. In her retired years she enjoyed volunteering at many of the local health care facilities as a bed maker. Dorothy was a long time member of St. Columba Catholic Church in Bloomsburg. Although she took her Church very seriously, she often remarked that Church is wherever you can find the Lord and in later years, she considered her daily long walks with her many beloved dogs as the next best thing. She loved her family, her dogs, and baseball in that order. She had a peaceful, fulfilling life, and she will be missed by all those who knew her. A private service will be held by the immediate family. In lieu of flowers, contributions in Dorothy’s memory can be sent to The Animal Resource Center, PO Box 439, Bloomsburg, PA 17815. Arrangements have been entrusted into the care of the Dean W. Kriner, Inc., Funeral Home & Cremation Service, 325 Market St., Bloomsburg.